Equal parts strategic and creative, agency Vice President and Partner Lexi Pathak, tackles every project with inimitable savoir-faire. With a background in journalism and a decade of experience in communications, Lexi brings a natural storytelling and 360 degree approach to building brands. In her vital role focused on leading client experience and delivery, Lexi leads the diverse and talented Faulhaber team and delivers polished perfection in the form of new business wins, strategy and branding. Lexi is passionate about mentoring new talent and delivering results for the agency’s impressive roster of lifestyle clients. She has deep expertise driving and innovating North American and international programs that deliver for prestige beauty and fashion brands like Charlotte Tilbury & Ted Baker. 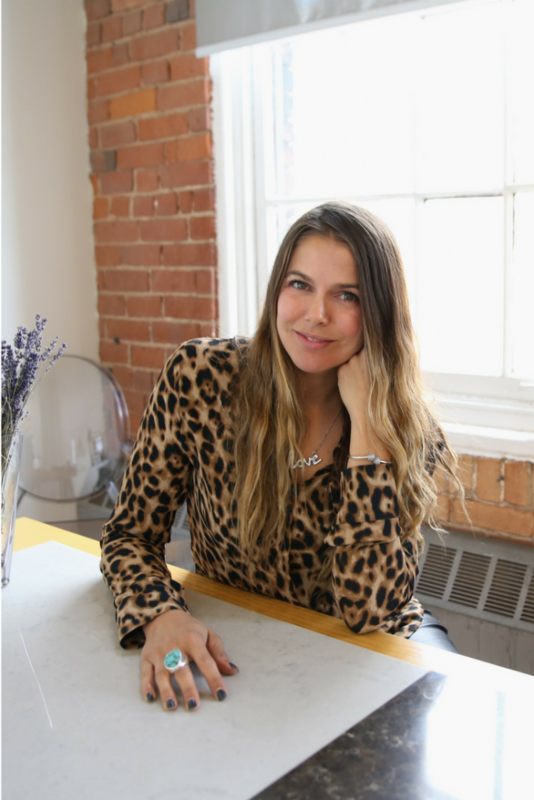 Prior to Faulhaber, Lexi worked in entertainment publicity, including CBC’s award-winning The Hour with George Stroumboulopoulos, PeaceArch Entertainment in Toronto and Muse Entertainment in Montreal. A true culture junkie, Lexi has appeared as an expert on Global, CBC News and Fashion Television and has been featured in the Toronto Star, LOULOU, Globe and Mail and The National Post. I was running a TIFF celebrity gifting lounge and reached out to Faulhaber as I wanted to include one of the brands the agency represented in my Made in Canada theme. Through this I met Lindsay Singer, who recommended I meet with Christine Faulhaber, our president. We hit it off and it was a seamless organic start. In my role as VP I am heavily involved in overall agency strategy and growth plans, including new business development and HR. On the client side, I oversee our beauty and fashion division and work closely with our account teams to ensure we are delivering best in class service combined with creative, sales-driving campaigns. I also oversee our FSHOPPE showroom, where we host Canada’s top editors, journalists, influencers and celebrities to highlight our clients’ stunning products. We have an open door policy and always have stylists and editors popping by to do a pull. Our agency is structured into account teams that are run by directors and account managers, with executives and coordinators supporting. We have two VP’s who split the client roster in terms of high-level support and guidance. Although we have some team members who specialize in sectors like beauty, we encourage everyone to work on a variety of industries. Working this way provides different perspectives and amazing organic opportunities for cross-pollination. We also have a digital and creative services team, which helps us deliver amazing content to our clients. On a whole, we encourage integration and spend a lot of time collectively in brainstorms and learning new skills to create the most dynamic team. It’s the end of the year so we are heavy into planning 2018, as well as wrapping up 2017. The mood is pretty festive, as the holidays are approaching. But we always work super hard to keep the mood in a positive place. We know the PR world can be stressful at times, even though we aren’t saving lives or doing rocket-science, so we have invested heavily in culture. We have a culture club that runs fun social events, everything from bar carts, to yoga classes, to monthly pot-lucks. This holiday party we are doing an in-office pajama party – voted in by popular demand! What is a recent job success story that makes you especially proud? We recently wrapped up a project called EDIT: Expo for Design, Innovation and Technology, a not-for-profit partnership between Canada’s design museum Design Exchange and the United Nation’s Development Programme. It was a 10-day fair showcasing how design and technology can be used to tackle and solve the world’s greatest sustainability challenges in areas including shelter, food, education and healthcare. The fair has hosted in an abandoned factory of four floors, had over 30 exhibits, 40 workshops and 125 speakers. The scale was very large, programming ambitious, the subject matter not in our regular wheelhouse, and yet our team hit it out of the park. We are very proud of them. What are three current favorite tools, apps or products that you love and why? Headspace APP for a quick mind refresh. Texture app – to download a wide variety of magazines to read on the go. Podcasts including Marketing Over Coffee. There are so many memorable moments in my career its hard to choose just one. That said, I think the most meaningful would be becoming partner this year. When I started with Faulhaber over seven years ago, we were only five people and a handful of accounts. Today, we have 30 people spread in multiple offices across the country. It’s been quite the evolution! I feel incredibly proud of the time I’ve spent working closely with our President and CEO Christine Faulhaber to help build the agency. We’ve had too many laughs to count, a lot of incredible celebrations, and a few tears along the way. Becoming partner and being recognized for my efforts feels pretty wonderful. Not to mention that I have loved working at Faulhaber since day one, and now I get to officially call it my forever home. One of my favorite PR perks is definitely travel and experiencing top five star hotels and restaurants while entertaining media around the world. Some of the places I’ve been include Amsterdam, Paris, London, New York, and LA. Travel definitely shakes my soul. I am not sure if this counts as glamorous to everyone, but it is a fond memory for me and showcases some of the great access to talented and creative minds we get in our job. During IDS (Interior Design Show) one year, Tom Dixon was our International Guest of Honour. We spent some time chatting about the best places to buy vintage furs around the world. Tom is such an iconic designer and was so chill and fun. I have this amazing picture of him holding my then six-month-old daughter, India under his copper pendants in the IDS pop-up shop. Inventory days in the storage unit. Period. PR can be stressful and full of rejection – how do you handle the pressure? I am a naturally calm person. People in the office always comment that I never get too stressed or that I seem relaxed. I guess it’s because I know that there is always a solution to any problem if you just think hard and long enough. But I do love to unwind. My tricks include keeping very active with a balance of Crossfit to expel my energy and shut my mind off, and yoga to bring on the zen. I also love scented candles, bubble baths and reading a good fiction novel. Currently I’m obsessed with Byredo’s loose lips, which smells like soft rose petals and was apparently inspired by the scent of the founder’s mother’s 80’s lipstick. One of my favorite PR perks is definitely travel and experiencing top five star hotels and restaurants while entertaining media around the world. That it is a lot of hard work and that it is important work. A lot of times we have to justify what we do or people think it is fluff work. Our teams work extremely hard, and are extremely intelligent, driven and talented young professionals. I’m excited about the move towards more data and analytics. I love the trend away from vanity metrics to more concrete measurements that highlights the value of what we offer to our clients, and showcases that we deliver campaigns that link to sales. I also think there is a lot of interested brand partnerships happening right now. I love combining compelling like-minded brands to come up with super power partnerships. I know that there is always a solution to any problem if you just think hard and long enough. In Canada especially we are witnessing a shrinking media landscape. With less options to place our clients’ products, and more media brands looking for content partnerships and advertising dollars, we have to be super creative in our approach. I think influencer marketing is another challenge. It’s definitely a trend that clients are excited about and there are some very talented content producers out there who definitely deserve to be paid for the work they do, but as marketers with a goal in mind, we really need to find a smart way to ensure that the programs are actually driving sales. We are currently exploring and investing in tools to help us determine ROI. Do exactly what you did but don’t beat yourself quite as hard when you make mistakes. Those are the best learning opportunities and everything will work out in the end.